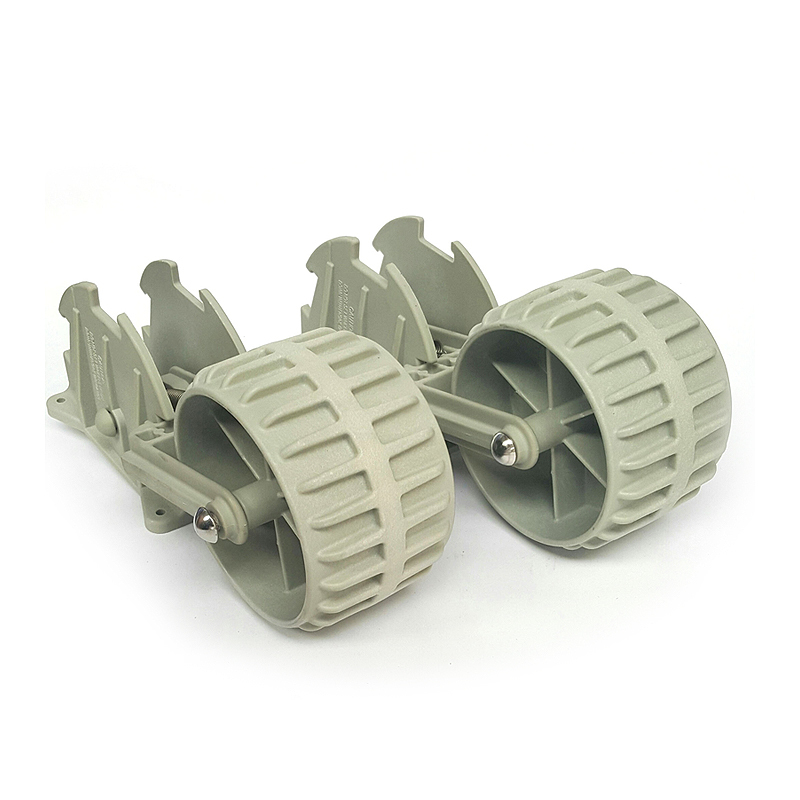 Dinghy Wheels designed to allow easy movement of small boats under 115 kg or 3.5 meters long. Strong mechanical frame and robust construction for long life. Suitable for inflatables, dinghies etc., making launching and retrieving easy. Attaching to the transom, the wheels can be lowered for moving the boat, or raised in two different positions whilst the boat is on the water.